On the 3rd December Simon & Schuster UK held a little get together to showcase the new books they have coming for 2012. Somehow little old me got an invite, here's what happened - Many apologies for its lateness!!! So this was the first event I was doing basically solo. I'm quite a nervous person really and am unable to travel anywhere alone, so luckily for me my lovely Mum wouldn't let me miss the opportunity of attending and tagged along on the train. She left me with the great S&S people and waited for me for 2 hours - I'm so fortunate to have her in my life - That's a whole other story though!!! Anyway I arrived and had no idea where to go. I actually stood at the wrong doors for a good 2 minutes before I heard some noise behind me - thats where all the fun was taking place!! I was greeted by the lovely Catherine & then Kat both S&S ladies - they made me feel so much more at ease straight away. Next up I had a catch up with my fellow bloggers - all such wonderful people, that I am honoured to have met this year!! The Future Of Us By Jay Asher & Carolyn Mackler - "It's 1996 and very few high school students have ever used the internet. Facebook will not be invented until several years in the future. Emma just got a computer and an America Online CD. She and her best friend Josh power it up and log on - and discover themselves on Facebook in 2011. Everybody wonders what they'll be like fifteen years in the future. Josh and Emma are about to find out." I am SO excited for this! I'm just fascinated with the idea of having a doorway to see your future. 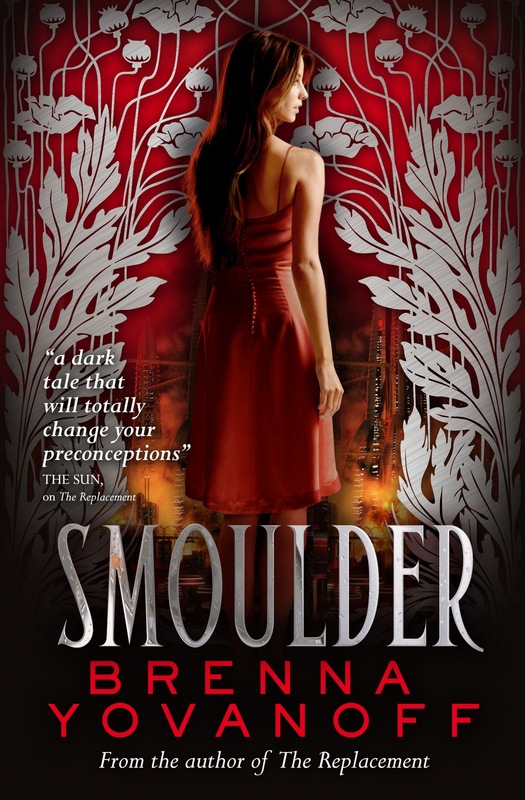 Smoulder By Brenna Yovanoff - "Being the youngest daughter of the Devil has never been easy. Daphne's father has no time for her, her mother no interest, and her status in the upper echelon separates her from the working-class demons that populate Lucifer's metropolis. 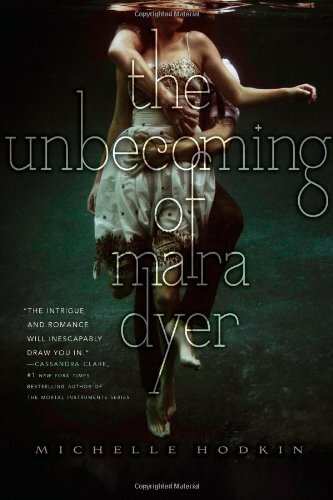 When her brother and only confidante goes missing, life in the restrictive city of Pandemonium becomes intolerable. Now, in an attempt to find him, Daphne sets out for Earth - and finds it larger and more chaotic than she imagined: a dazzling expanse of noise, dirt and random violence. Despite her bewilderment, she navigates the mortal world with growing fascination, gaining an ally when she saves a dying boy from her father's minions. For Truman Flynn, the last year has been one long downward spiral, but when Daphne arrives just in time to save his life, he finds himself unexpectedly glad to have another chance. Together, Daphne and Truman go in search of her brother, braving the hazards of Las Vegas and the perils of first love, even as it becomes increasingly clear that her brother might have had a secret and compelling reason for leaving. Lucifer's agents aren't the only creatures on the prowl, and Daphne soon finds herself the target of a plan to rid the world of demons for good. Now she must evade a demon-eating monster, rescue her brother from an angelic zealot, and save the boy she loves from his greatest enemy - himself." I loved The Replacement by Brenna, so have very high hopes for this. Its a completely new story & another standalone. Very excited for it!! Fated By Sarah Alderson - "What happens when you discover you aren't who you thought you were? And that the person you love is the person who will betray you? If your fate is already determined, can you fight it? If your life becomes bound to another’s, what will it take to sever it?" Only very recently I read Hunting Lila, by Sarah and although having reservations at first I thoroughly enjoyed it and am excited to read what happens next. In the meantime we are getting a whole new novel. I've read the first chapter and am gagging for more!! Someone Else's Life By Katie Dale - "How can you face your future when your past it a lie? 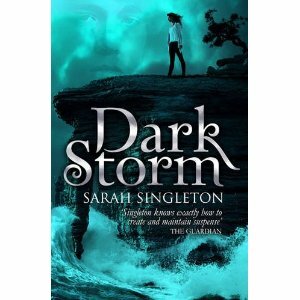 When Rosie Kenning's mother, Trudie, dies from Huntingdon's disease, her whole world falls apart. Not only does Rosie desperately miss her mum, but now she has to face the fact that she could have inherited the fatal illness herself. Until she discovers that Trudie wasn't her biological mother at all ...Rosie is stunned. Can this be true? Is she grieving for a mother who wasn't even hers to lose? And if Trudie wasn't her mother, who is? 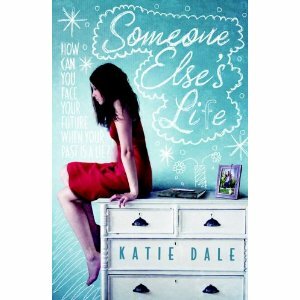 But as Rosie delves into her past to discover who she really is, she is faced with a heart-breaking dilemma - to continue living a lie, or to reveal a truth that will shatter the lives of everyone around her..." I've never actually read something like this before, but I'm actually very intrigued by this. I've heard good things about it too!! Everneath By Brodi Ashton - "Last spring, Nikki Beckett vanished, sucked into an underworld known as the Everneath, where immortals Feed on the emotions of despairing humans. Now she's returned- to her old life, her family, her friends- before being banished back to the underworld...this time forever. 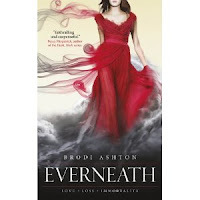 She has six months before the Everneath comes to claim her, six months for good-byes she can't find the words for, six months to find redemption, if it exists. Nikki longs to spend these months reconnecting with her boyfriend, Jack, the one person she loves more than anything. But there's a problem: Cole, the smoldering immortal who first enticed her to the Everneath, has followed Nikki to the mortal world. And he'll do whatever it takes to bring her back- this time as his queen. 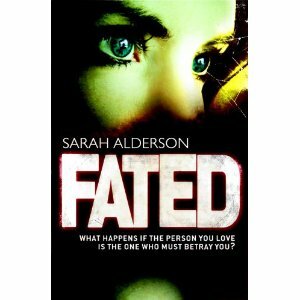 As Nikki's time grows short and her relationships begin slipping from her grasp, she's forced to make the hardest decision of her life: find a way to cheat fate and remain on the Surface with Jack or return to the Everneath and become Cole's..." I actually have a copy of this and am so excited to read it. This sounds unbelievably awesome, I just need to find some time for it as soon as!! 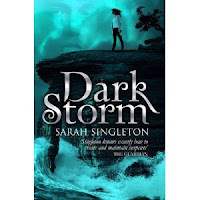 Dark Storm By Sarah Singleton - "Ellie is staying with her maternal grandparents for the summer, while her recently bereaved dad takes off on holiday with his new girlfriend. Upset by his apparent callousness, missing her mother, and jealous for her dad's attention, she begins to spiral into depression. Her grandparents suggest she joins a local theatre group, to meet people her own age and get away from the dark thoughts that threaten to engulf her. But then she gets roped into a seance at the theatre, and is the only one who actually sees a real ghost. Now a spirit is contacting her from beyond the grave - and as the dead boy's story unfolds, Ellie finds herself falling in love with him. But if she solves his mystery and helps release his soul, will he be lost to her forever?" I don't know a huge amount about this, but I do know its meant to be a rather creepy tale with romance - I always have room on my shelf for that kind of book!! Unrest By Michelle Harrison - "Seventeen-year-old Elliott hasn't slept properly for six months. Not since the accident that nearly killed him. Now he is afraid to go to sleep. Sometimes he wakes to find himself paralysed, unable to move a muscle, while shadowy figures move around him. Other times he is the one moving around, while his body lies asleep on the bed. According to his doctor, sleep paralysis and out of body experiences are harmless - but to Elliot they're terrifying. Convinced that his brush with death has opened up connections with the spirit world, Elliott secures a live-in job at one of England's most haunted locations, determined to find out the truth. There he finds Sebastian, the ghost of a long-dead servant boy hanged for stealing bread. He also meets the living, breathing Ophelia, a girl with secrets of her own. She and Elliott grow closer, but things take a terrifying turn when Elliott discovers Sebastian is occupying his body when he leaves it. And the more time Sebastian spends inhabiting a living body, the more resistant he becomes to giving it back. Worse, he seems to have an unhealthy interest in Ophelia. Unless Elliott can lay Sebastian's spirit to rest, he risks being possessed by him for ever, and losing the girl of his dreams..." This I am SO excited for!! It sounds so up my street that its unreal. Cannot wait to get my hands on it!! 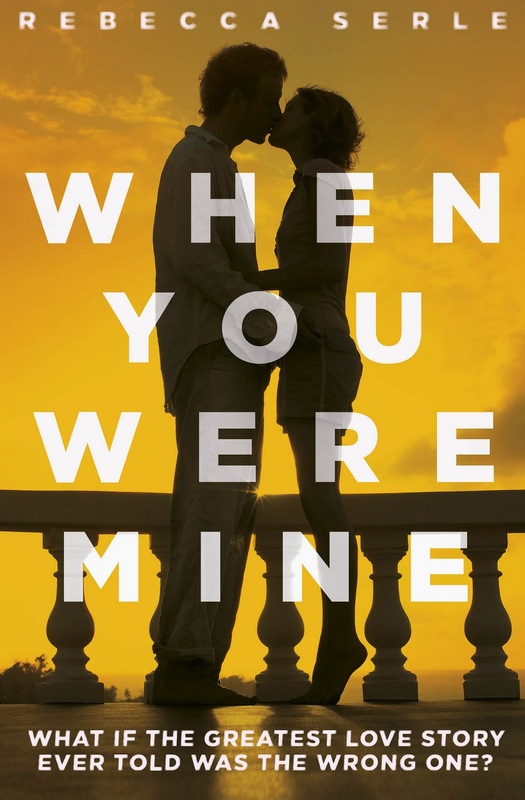 When You Were Mine By Rebecca Serle - "Rosaline has been best friends with Rob since they were little kids. Recently, something deeper and more electric has entered their friendship, and when Rob returns after the summer break and asks Rosaline on a sort-of date, it seems they are destined to become a couple, just as Rosaline always knew they would be. The next day at school, a mysterious, beautiful girl arrives: Rosaline's long-lost cousin, Juliet. And suddenly it looks as if Rosaline might be about to lose her best friend AND her new boyfriend..." Now this is a GREAT idea. Its the story before Romeo & Juliet basically but told in a present world. The film rights have already been sold to Fox I believe too - major exciting stuff!! The Hunt By Andrew Fukuda - "Against all odds, 17-year-old Gene has survived in a world where humans have been eaten to near extinction by the general population. The only remaining humans, or hepers as they are known, are housed in domes on the savannah and studied at the nearby Heper Institute. Every decade there is a government sponsored hunt. When Gene is selected to be one of the combatants he must learn the art of the hunt but also elude his fellow competitors whose suspicions about his true nature are growing." 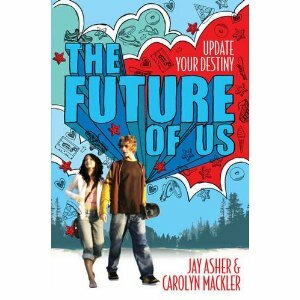 This was the book that got us all 'Oooooohing' partly for the hot guy on the cover, but mainly for the amazing premise of the book. I can't WAIT to read it!! By this time we were all rather giddy with excitement at what we had coming up, so had a bit of mingling time - otherwise known as geeking out with glee!! With mingling also came drinks and nibbles - S&S seriously know the way to my heart, I had a few too many gingerbreads to be completely honest!!! We went on to chat a bit more about how the bloggers can work with the publishers, which is all very exciting and hopefully will be seen on blogs very soon. Sadly our get together had to come to end, but not before we were all given a special present each. 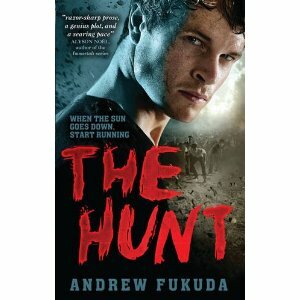 All the presents were wrapped, so we did a bit of synchronised opening and found copies of THE HUNT!!!!! I think we all shrieked just a little! I'd just like to say a BIG Thank you to all the guys at Simon & Schuster for a lovely afternoon - you treat us so well!!! This sounds so great! Very jealous :) And all those books look really good - I still haven't read The Replacement, and it sounds like Smoulder is also going to be one I need to get hold of. 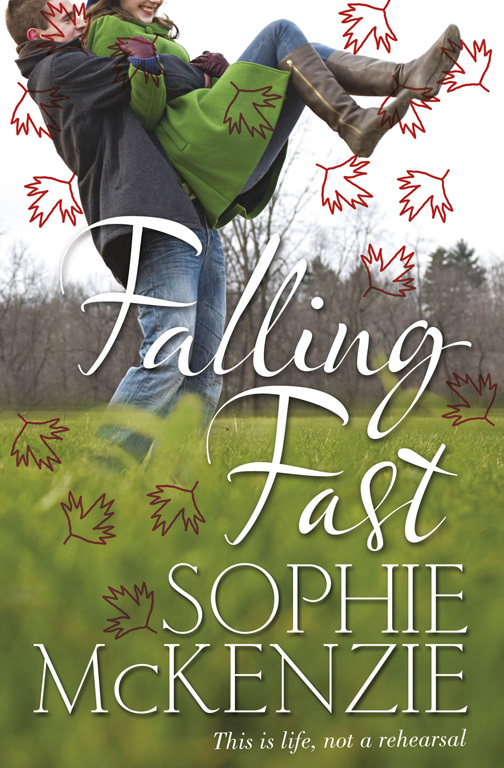 I'm loving Falling Fast by Sophie McKenzie, it looks like a great book!!! But I must day, my shock moment came from seeing When You Were Mine....I feel like my heart has just been torn out of my body and stomped on and run over by multiple heavy moving objects. There goes my last four years of hard work...ANYWAY! What a great event!!! It sounded wonderful!